Most parents encourage their kids believe in Santa Claus, but there is always that awkward time when they realize they must either tell their kids the truth, or let the playground rumors do their job for them. When to come clean about Santa is a difficult decision. 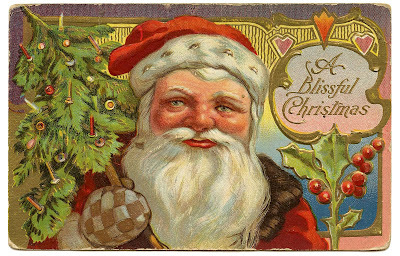 The Season is upon us, and for some people the question as to whether or not Santa Claus is real will soon be upon them. I thought I’d share our method of “breaking the news”. I think it works pretty well. When I was a kid, I figured out the Santa thing on my own. Why is Santa’s handwriting such a close match to Mom’s? Why were there price tags or store stickers on the gifts? When it was time to tell each child, Handsome Hubby had a brilliant idea. We parents sat them down. Since we’re a blended family,all the parents are present. Our kids didn’t feel lied to, they felt like they were now in the club. They help to make the magic. They know the password, they know the secret handshake. It’s almost like it added another layer of cheer to the season for them. I have to say that they each embraced the spirit of Christmas more than they ever had before. They love that they were creating a little magic for their younger siblings. 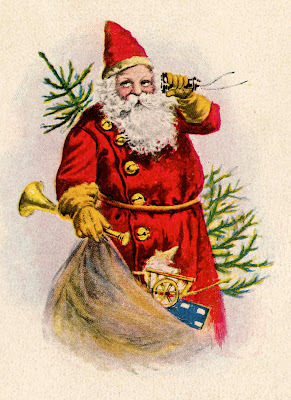 Once the boys knew that they were Santa, they loved the act of surreptitiously dropping little presents into stockings. They love the idea of helping to create the magic. **UPDATED to add: This is also a great way to preserve the belief for younger siblings. Because the older ones are helping to “create” the magic, they are very careful to keep the secret. Love the way you went about this. Our son started figuring things out last year and then we all read The Autobiography of Santa Claus together as a family and when we had finished it my son did not feel lied to or cheated either…it was a nice feeling. My daughter still believes but I have a feeling this will be her last year but I expect she will feel the same way as our son when all is said and done. The Autobiography of Santa Claus is SUCH a great book and there are 2 more in the series and even my son is looking forward to reading another this year. There are 24 chapters so we read one each night as part of our countdown to Christmas. Love it! My sons are 24 and 28 years old and they still believe in Santa because if not they will not get gifts from Santa. Mom and Dad give them socks and underwear. They did learn at a young age that it is truly a great feeling to give and to share the spirit of Christmas with others. Viv this is awesome! We’ve been wondering how to handle our almost 11yr old. He still heavily believes regardless of the rumors from his schoolmates. I don’t want to ruin the magic for him. I want to make sure he’s already coming out of it on his own so to speak. But the other part of me feels like he’s really too old to still believe. Sigh. Our Santa doesn’t wrap things, they’re left out, assembled, and ready to play – that was Matt’s family tradition, and I LOVE it! I told all my kids by the time they were 8. But, my stepdaughter is 10, and they still haven’t told her. 1. Their requests start getting more expensive. 2. You know they have heard rumors by now. I think when parents wait so long, they are doing it for themselves and not for the kids anymore. That is beautiful. My daughter came to me at 8 and asked about Santa. I explained to her about Santa and the giving season and how Santa is in everyone. I also told her that if you believe you will receive. A few days after our talk she came running in to the bathroom where I was and said I suppose there is no tooth fairy too. She is 22 and still receives a gift from Santa and her stocking filled. I love that the elves start leaving presents before Christmas. That’s a great tradition that I wish we had started. Maybe it’s not too late. Once at a family gathering, my brother was joking around trying to embaress me (as brother’s often do). 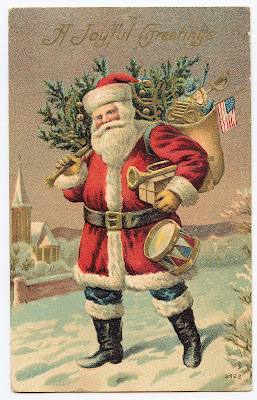 He proclaimed to everyone that I believed in Santa until I was 17 years old. I just looked at him very seriously and said “Did you ever notice that I got more gifts than you did?” You should of seen his face. Perfectly stated. This is going to be something we face soon, with our oldest almost 11. Thanks for sharing your experience. This is so awesome Viv!! I love it! My kids already know but I am going to forward it to my SIL – what a sweet way to keep the magic going! Wonderful way to explain! I, myself, was told in the schoolyard (though I already suspected), and I still remember the disappointment. 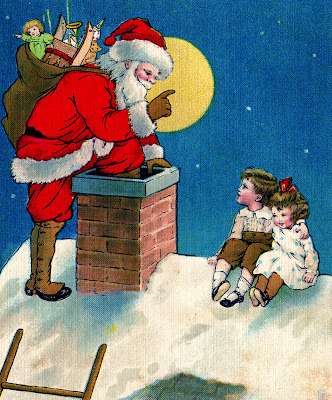 I do not mean to be a spoilsport, really I don’t… but why do we lie to kids at all about Santa? Why not just start off from the very beginning by helping them understand the act and the heart of giving? I know parents who have done this, and their kids really aren’t “missing” anything. Just a thought. What a great idea! I love that your whole family keeps the spirit of giving alive! I remember this and I have always loved how you explain this to your children. Great approach! Simple and to the point. Viv–this is wonderful approach! My only sibling is 7 years younger than me and I remember my mom pulling me to the side and saying “if you don’t believe in Santa you won’t get presents, and if you ruin any magic for your brother you won’t get presents.” I like your way much better, and would most likely be the way I would go about telling future children of mine! excellent way to “break the news”… when the kids were younger, “our” Santa didn’t wrap gifts… he brought them in his big velvet bag (like the pictures always show).. and displayed the goodies beneath the tree… tags weren’t necessary cause they were far enough in age and gender, everyone usually knew what was what. I would have a blast on Christmas eve.. pulling all the goodies from their packaging and displaying them just so. Great memories! Oh love love this!! My son has started to ask- thought about the Easter bunny not Santa- yes weird I know but they just saw Hop for the first time recently. So far I avoided the question- but this sounds like the perfect plan. This is AWESOME! Just heading in this direction with my almost 10 year old son. I will be using this idea! I never figured it out…maybe I still believe in Santa? Who am I kidding? Of course I still believe in Santa! 😉 The philosophy around our house was “if you don’t believe, you don’t receive”. Even after I knew that Santa wasn’t a real person that came to our house, I still put up a good front. When Isaiah was born, I was so excited that I got to start leaving cookies and milk and magic keys. I know Isaiah will soon be needing “the talk”. This sounds like a good plan. I love that everyone feels like they’re a part of the magic!